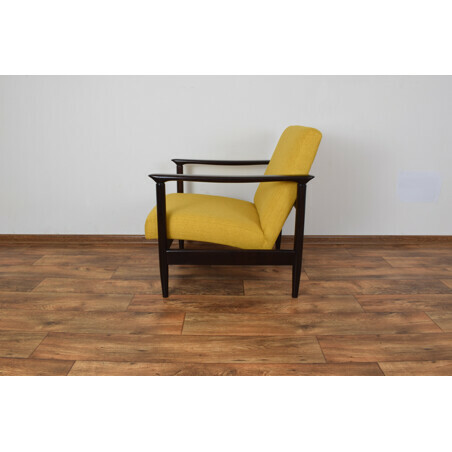 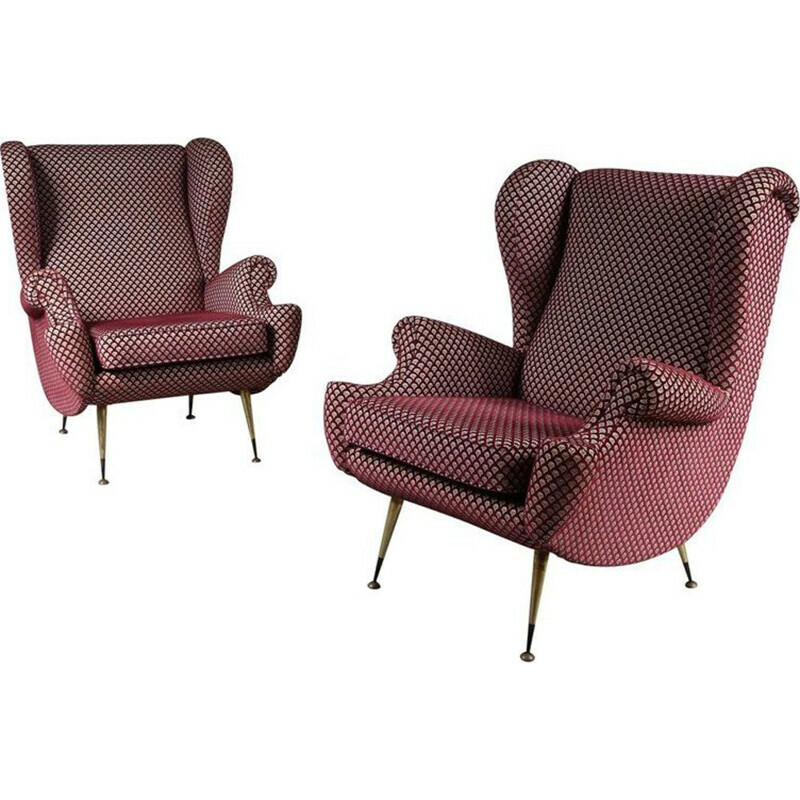 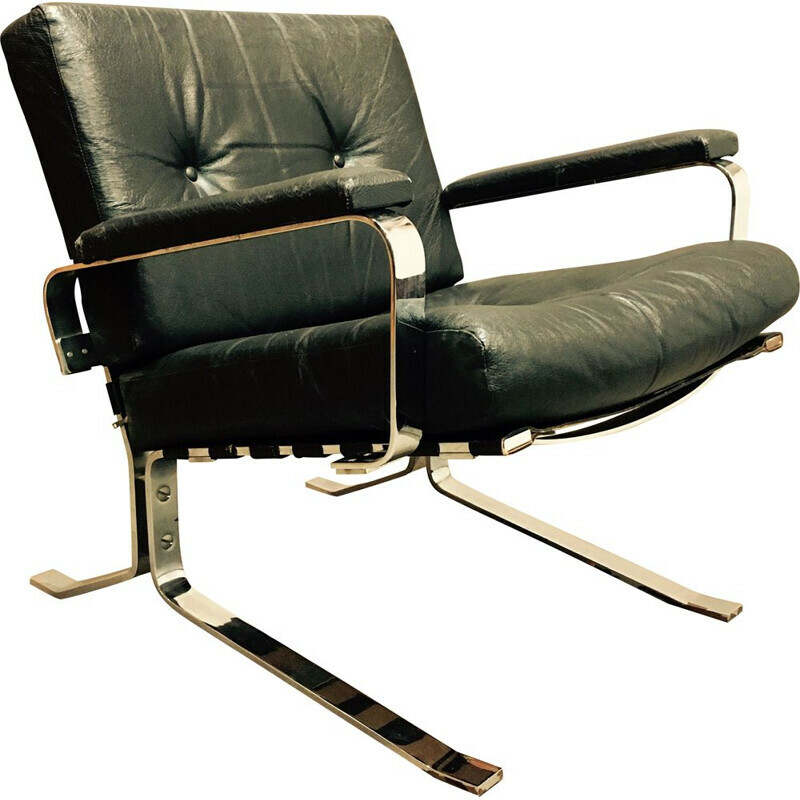 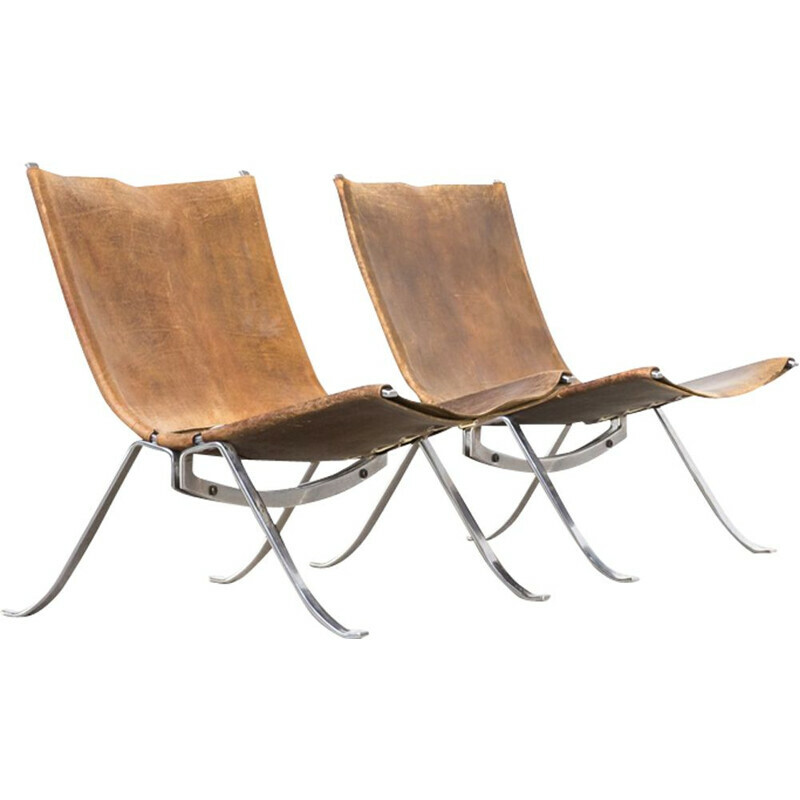 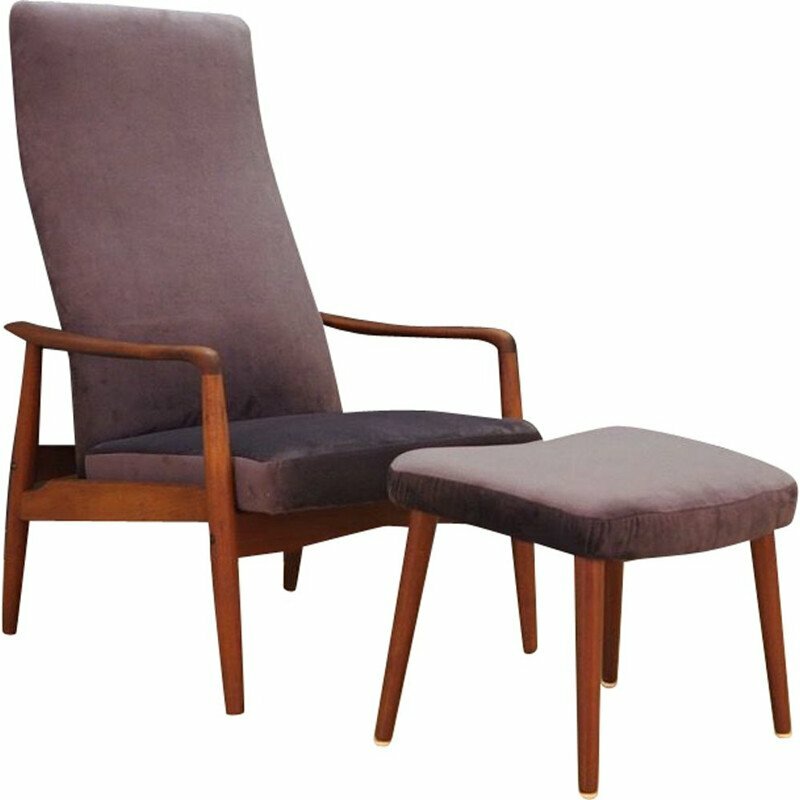 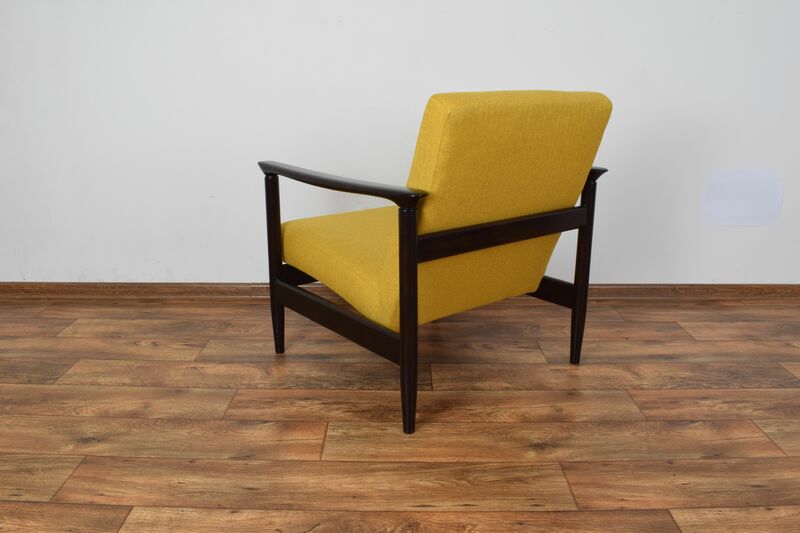 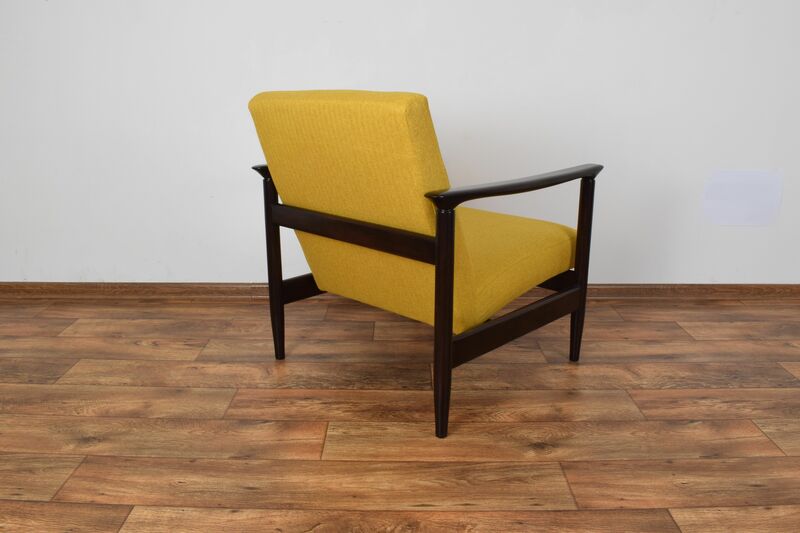 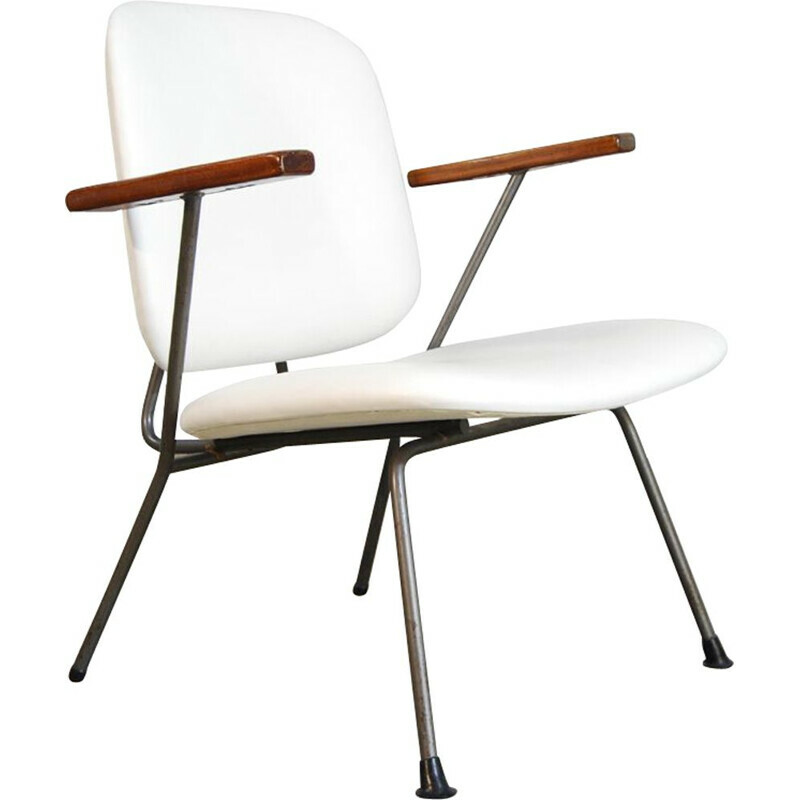 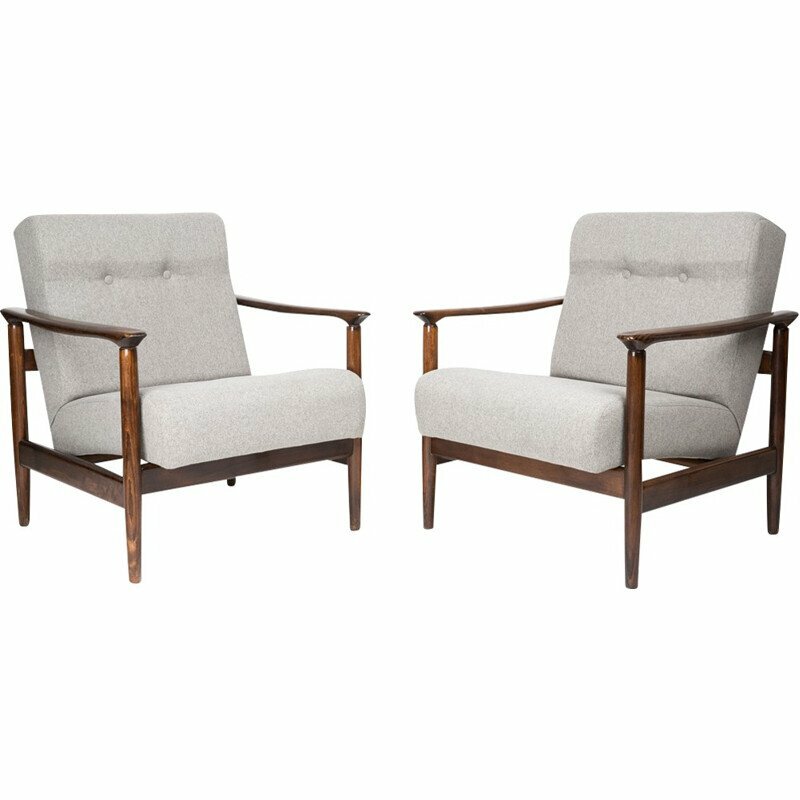 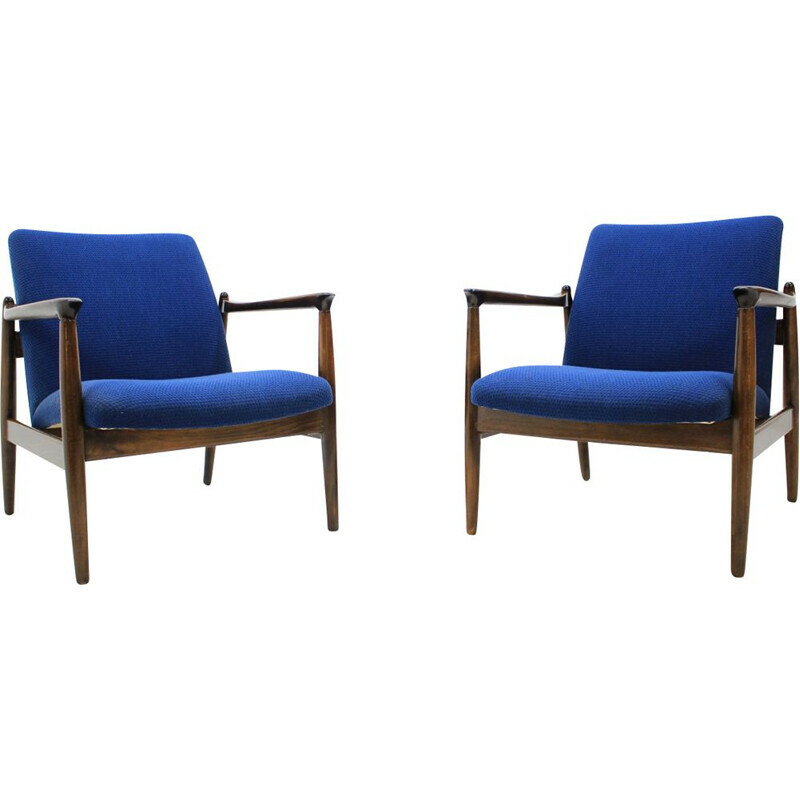 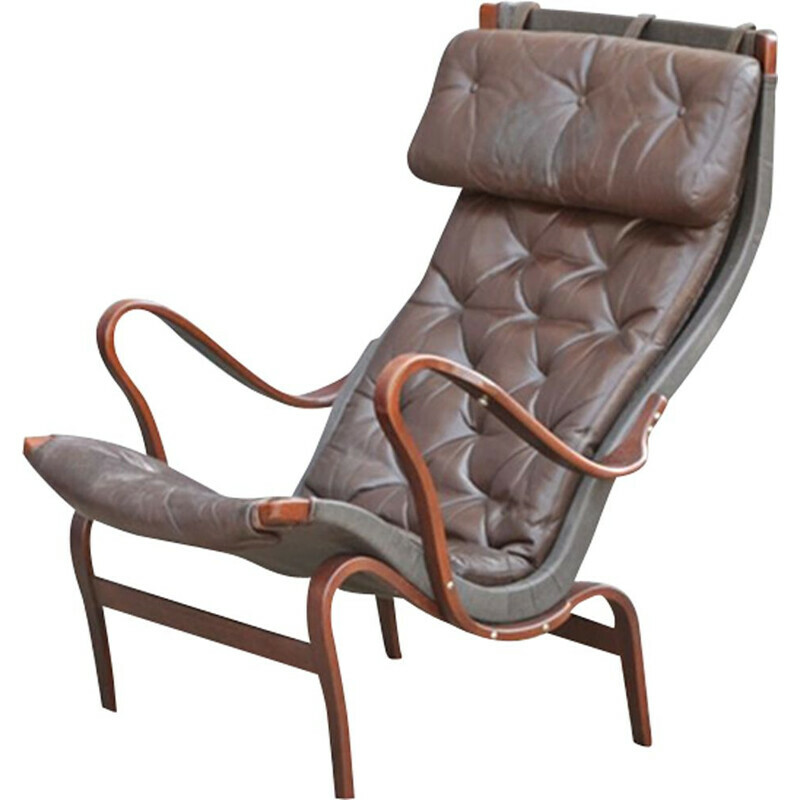 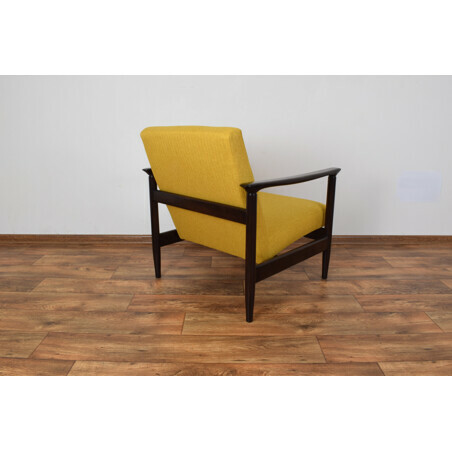 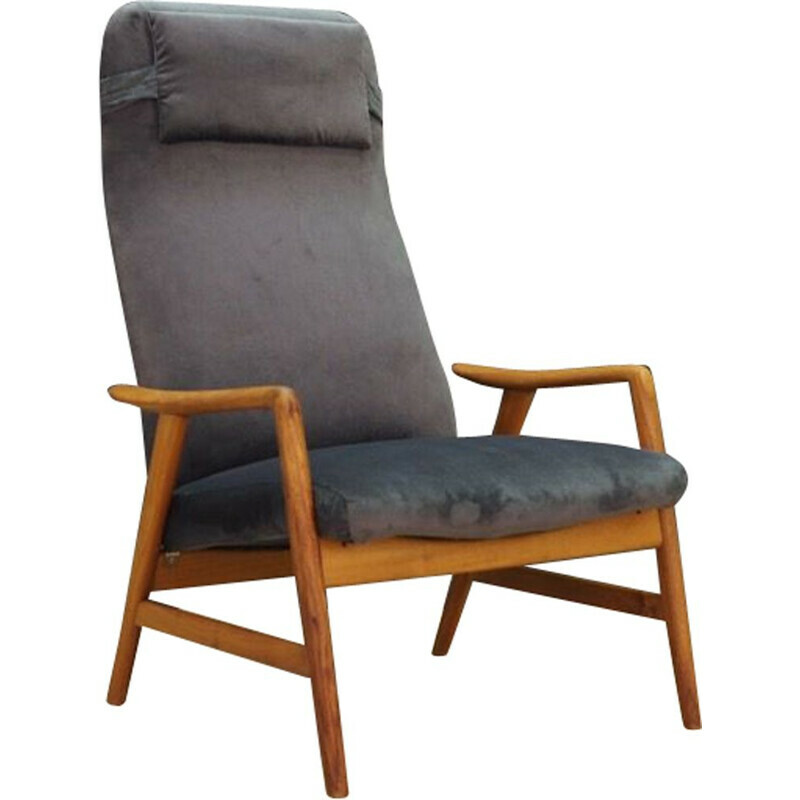 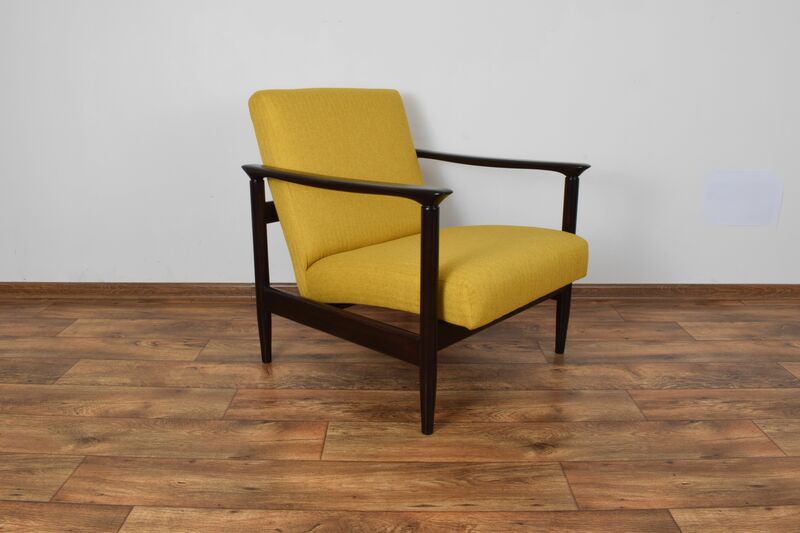 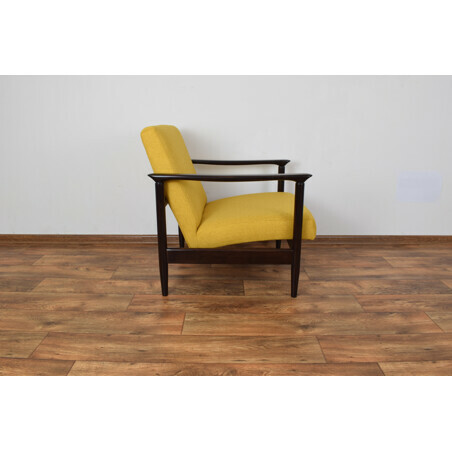 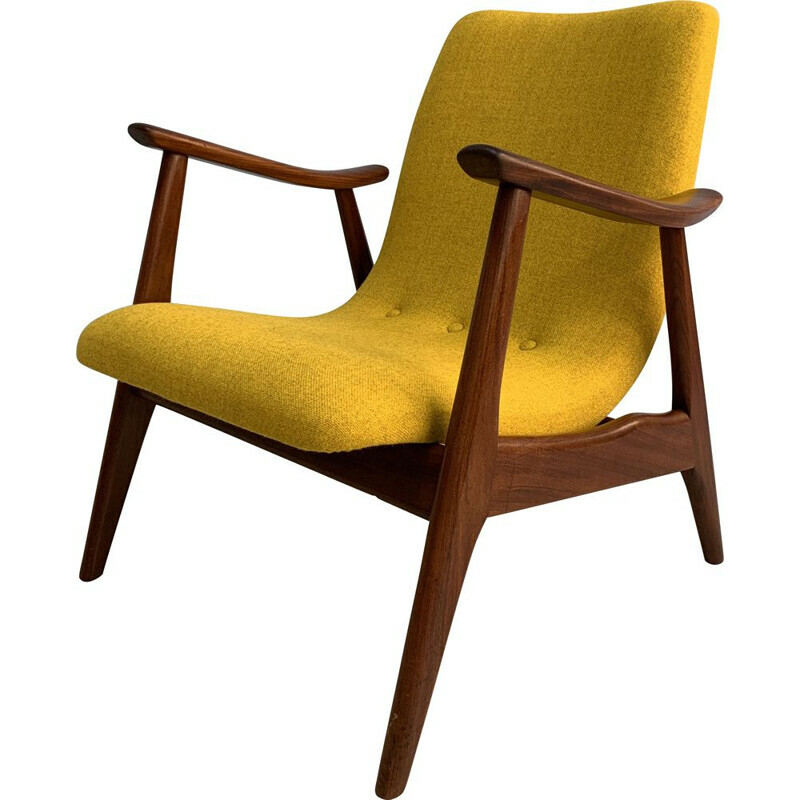 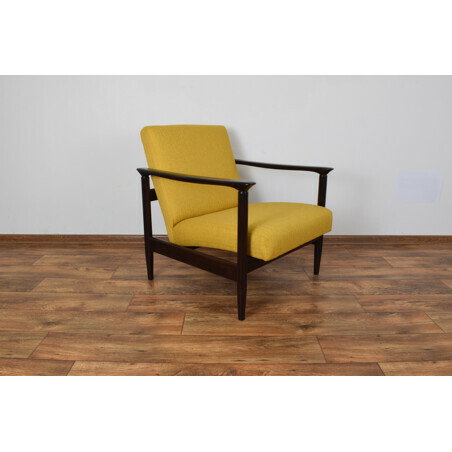 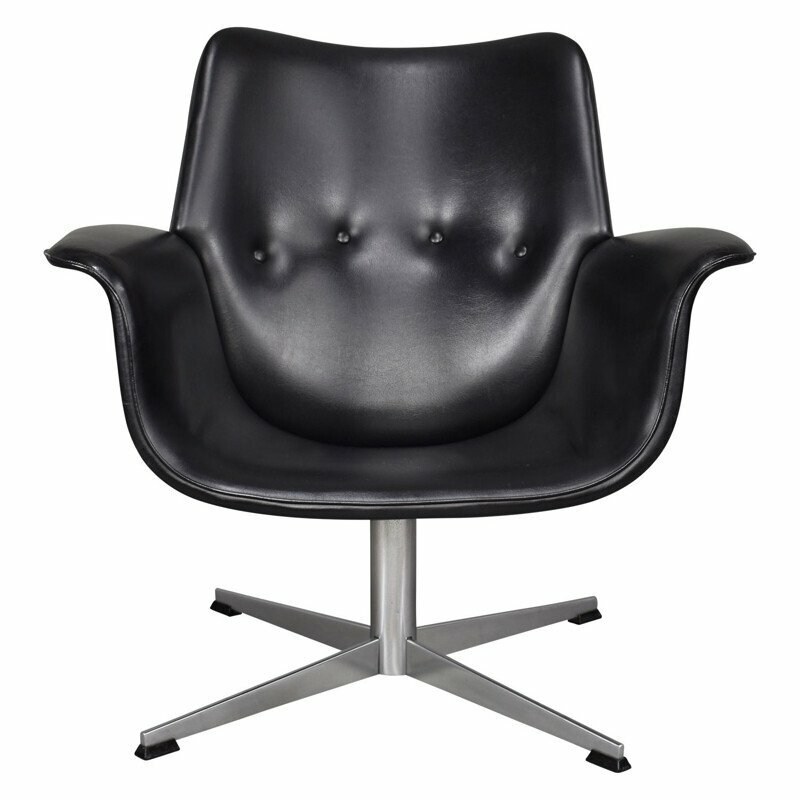 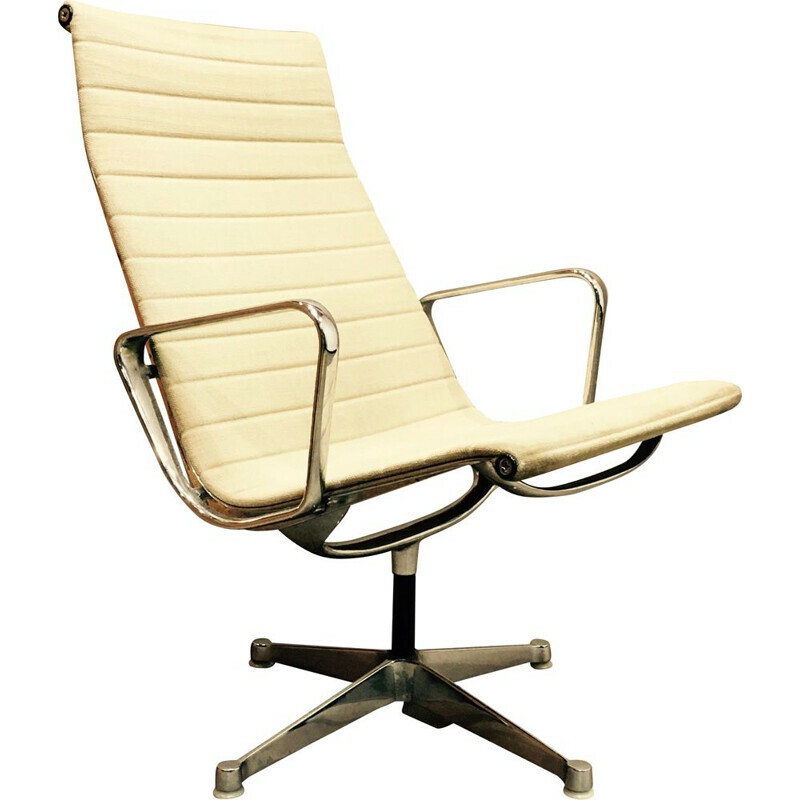 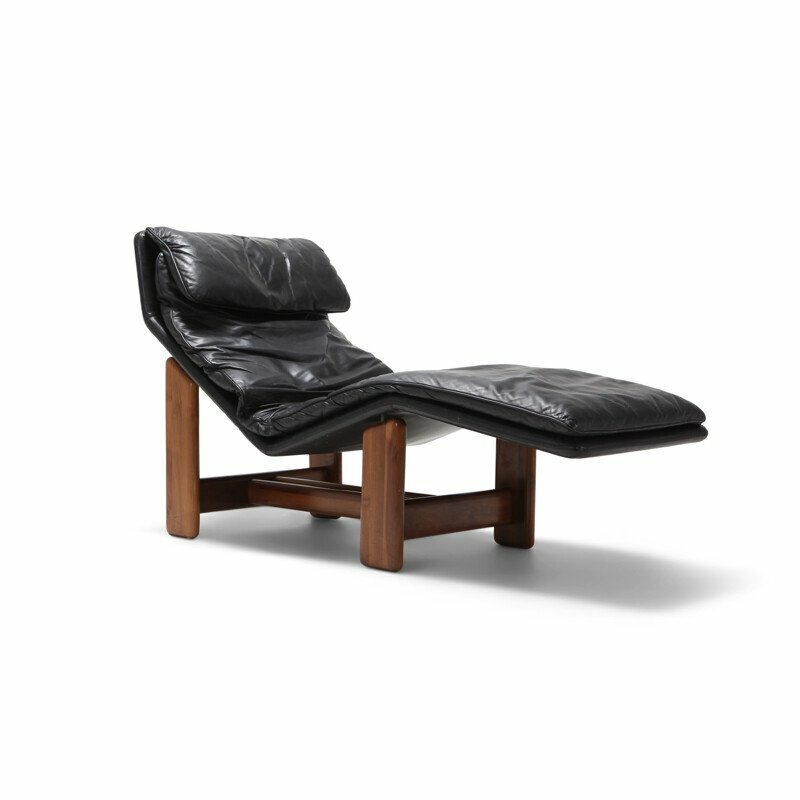 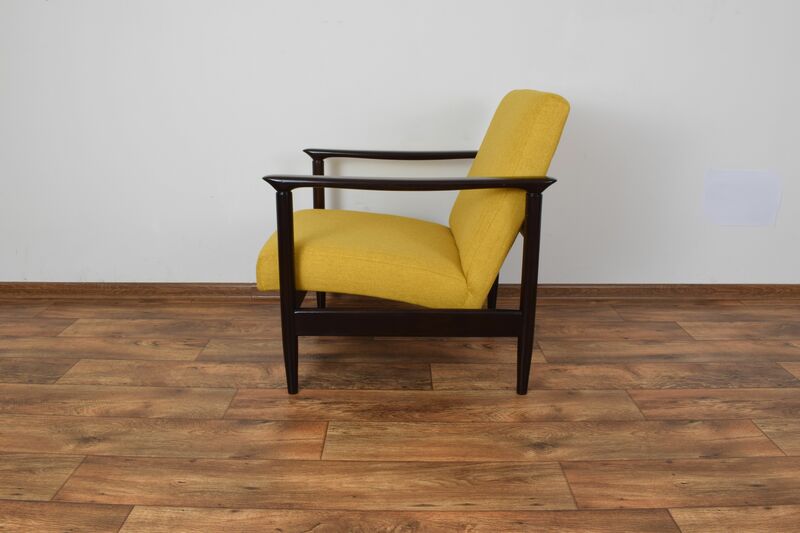 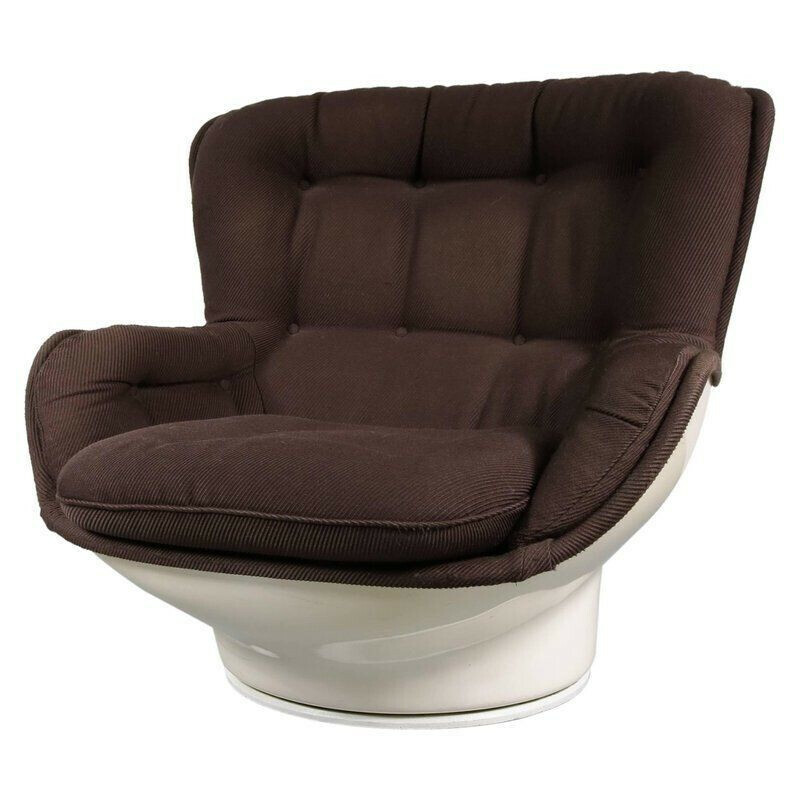 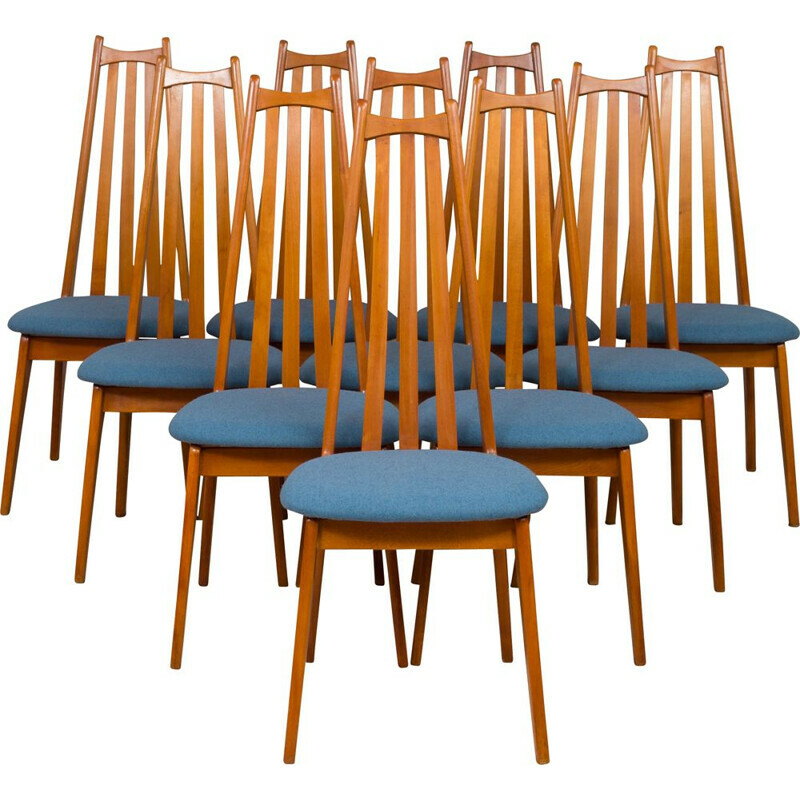 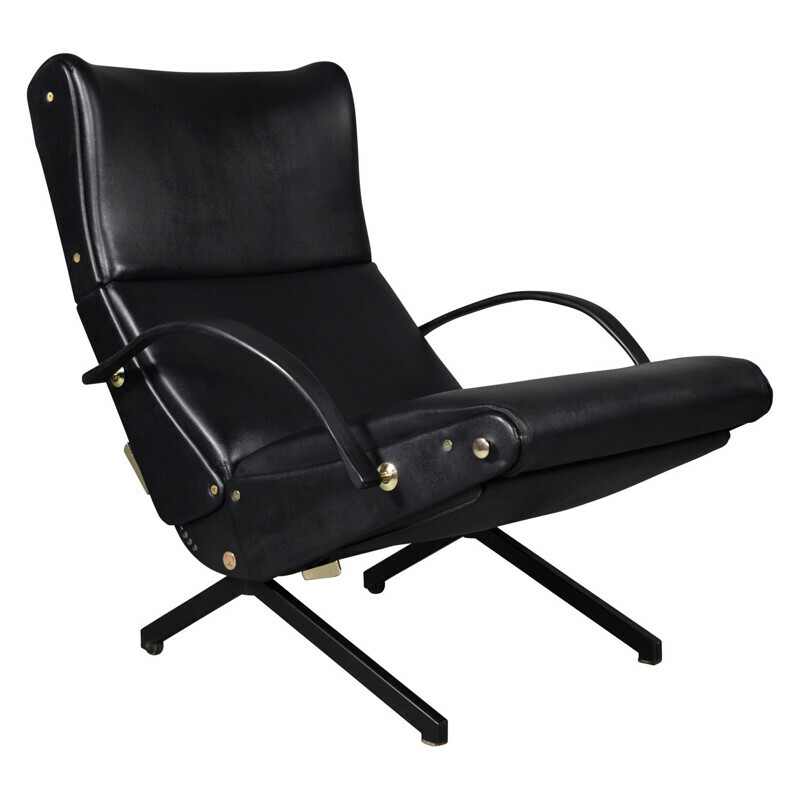 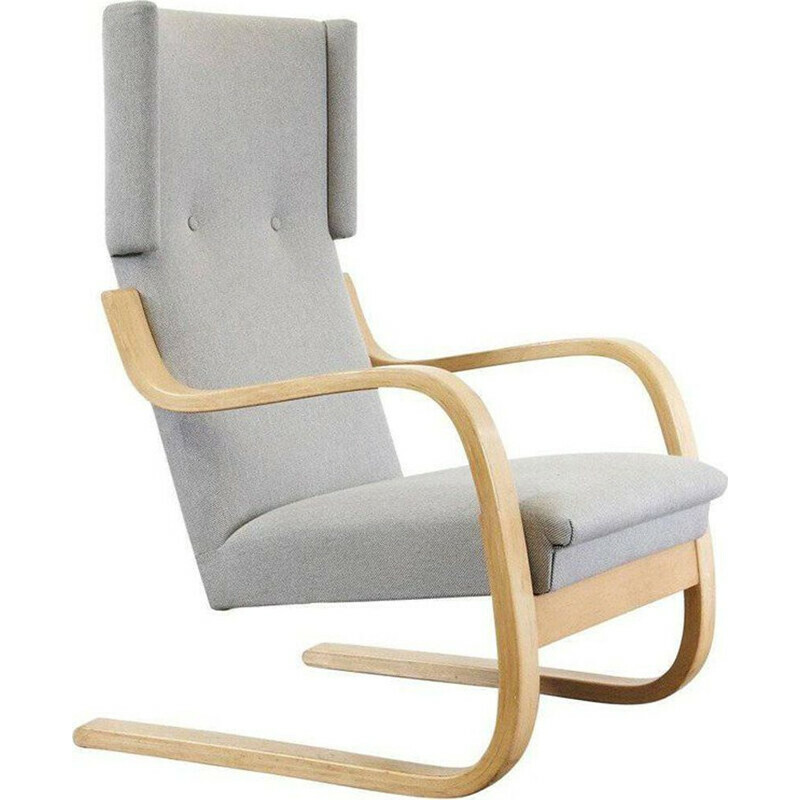 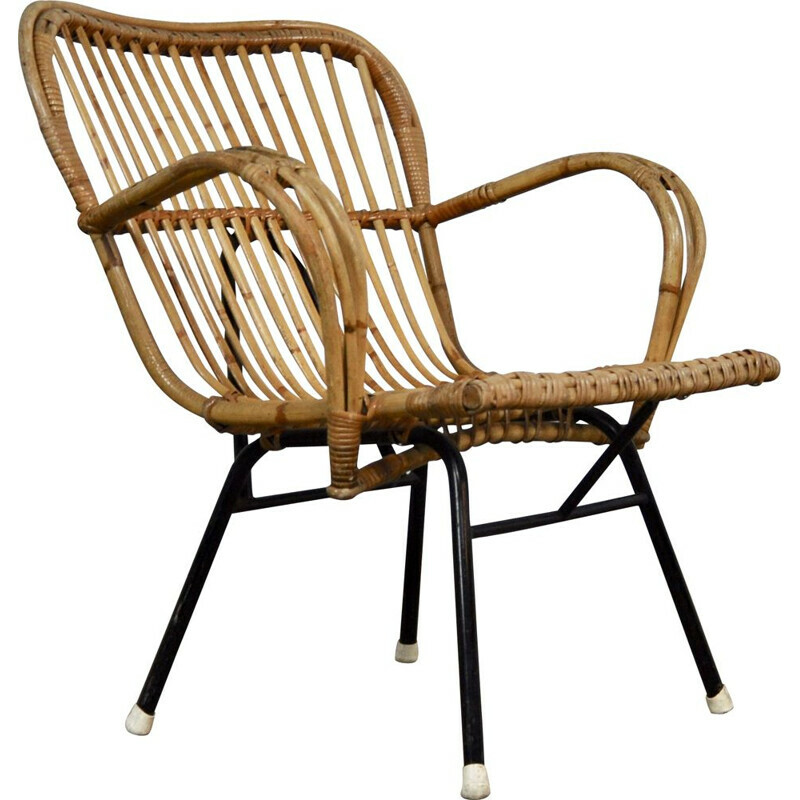 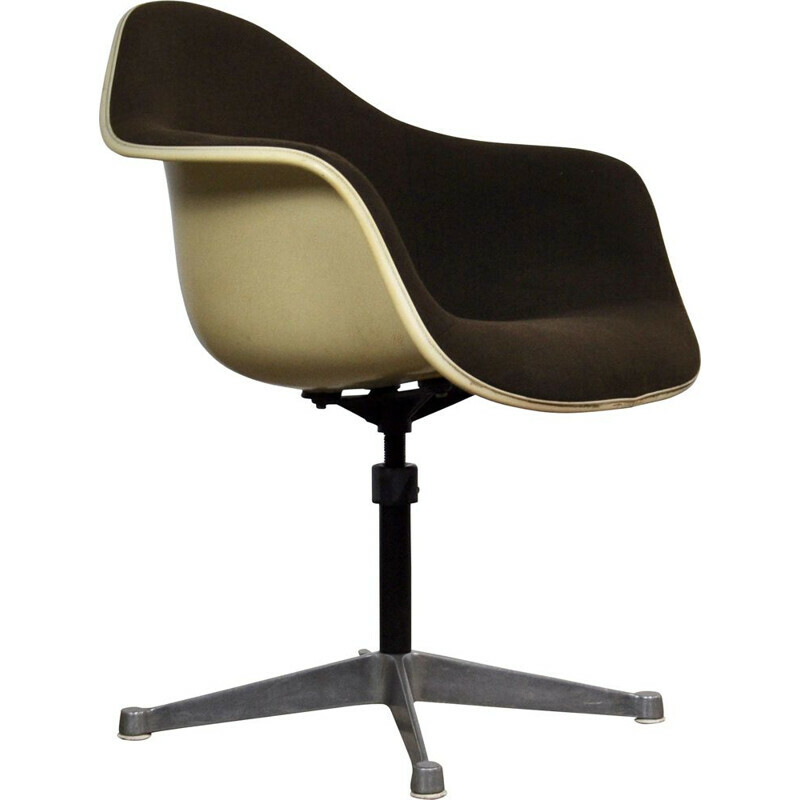 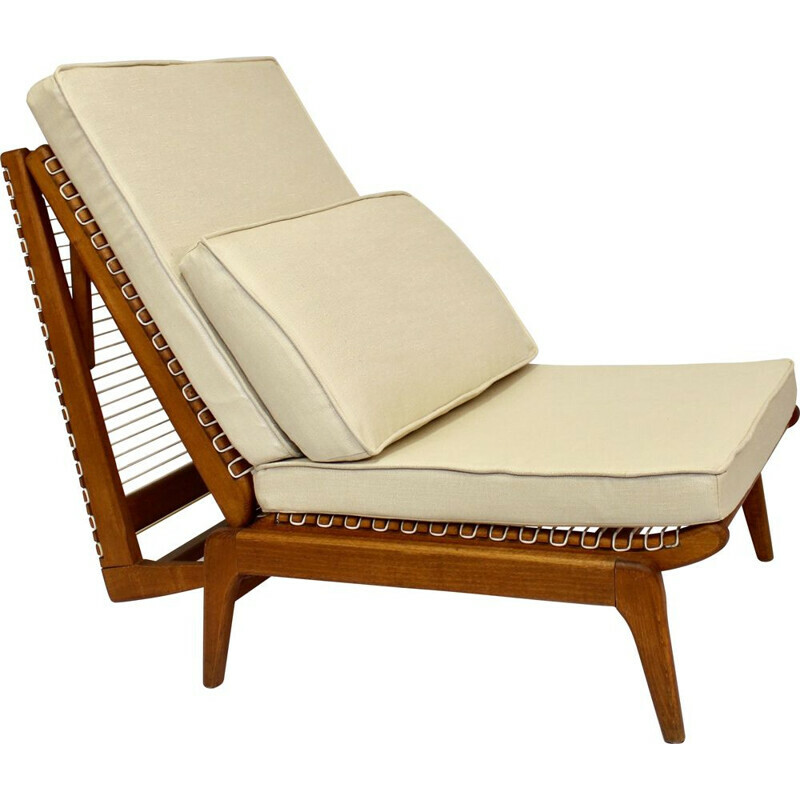 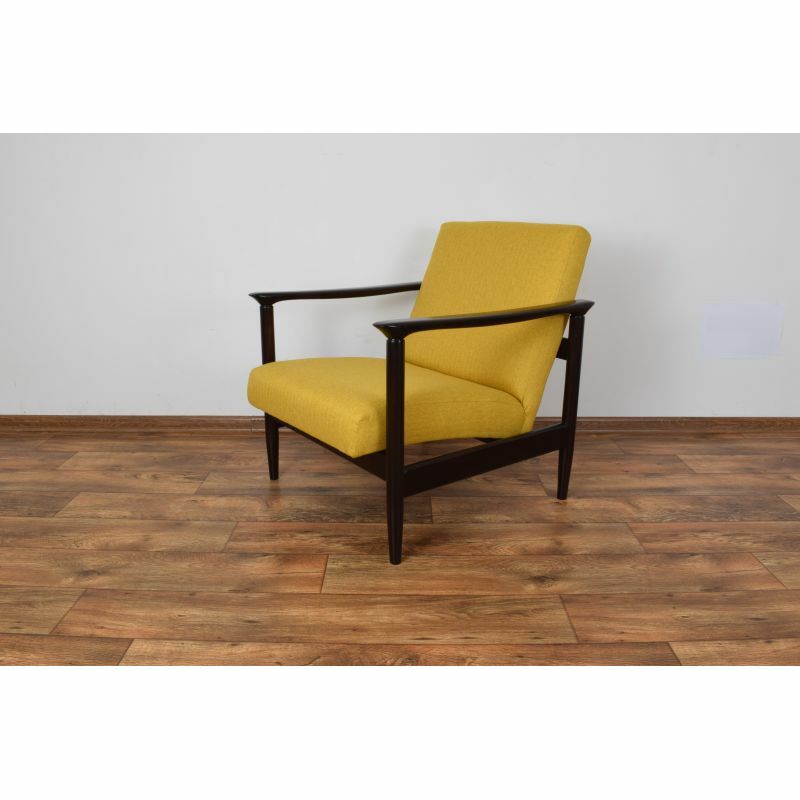 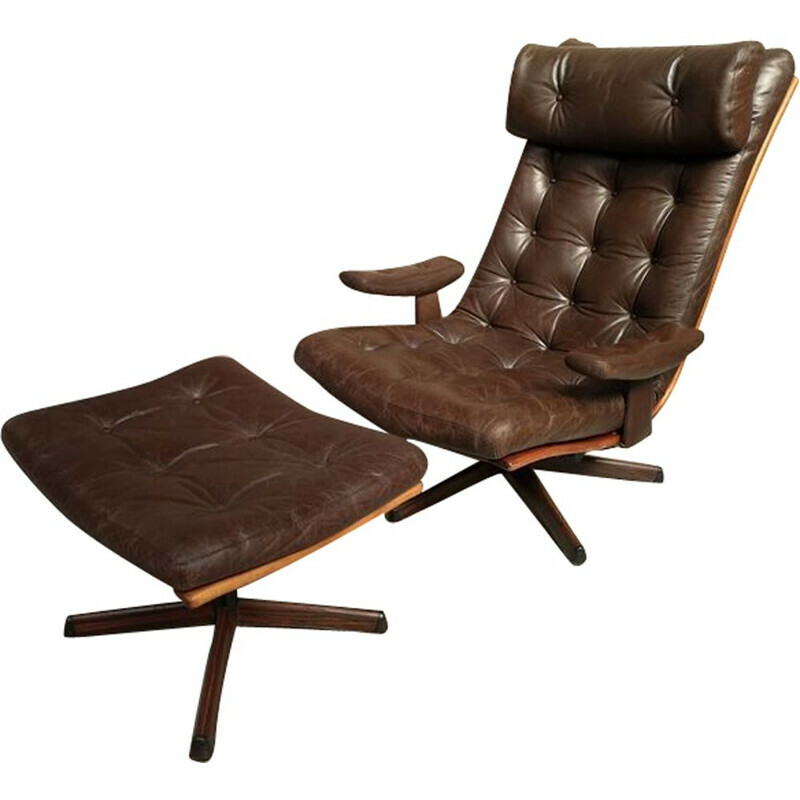 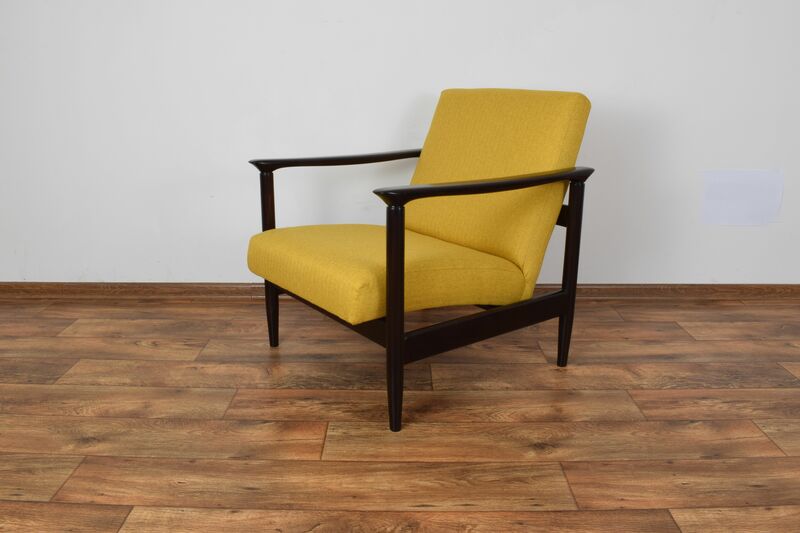 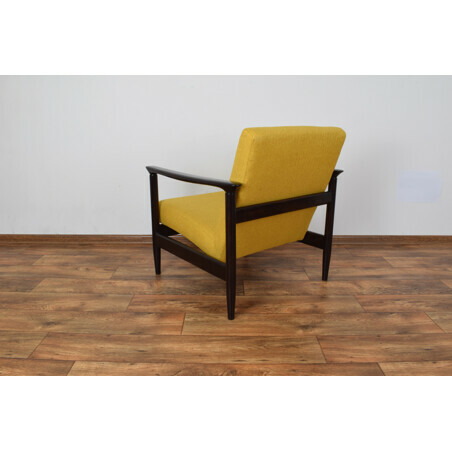 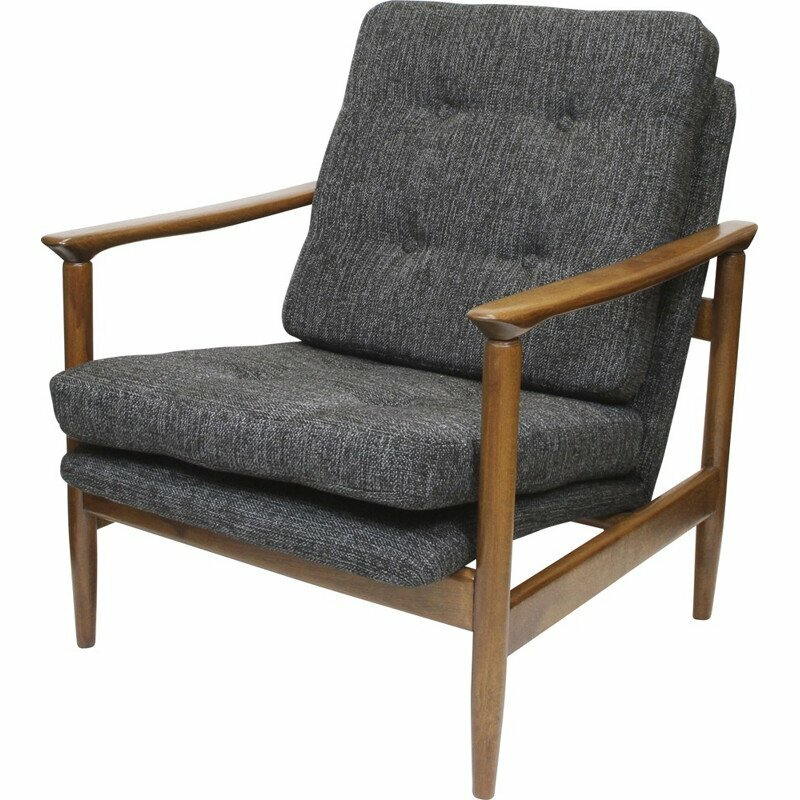 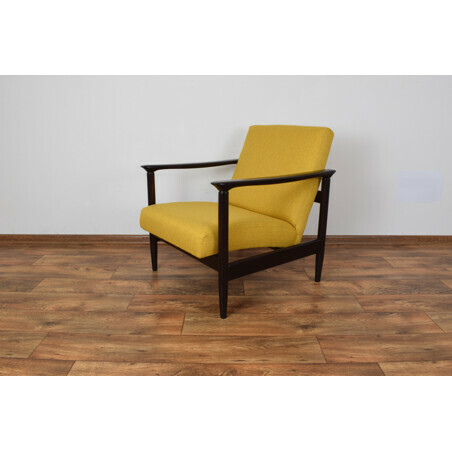 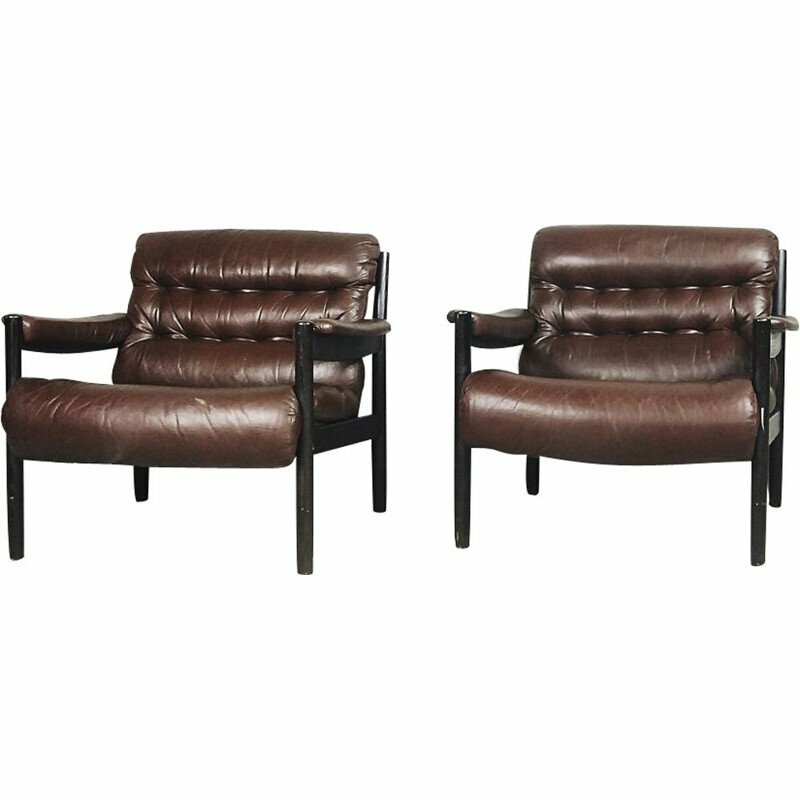 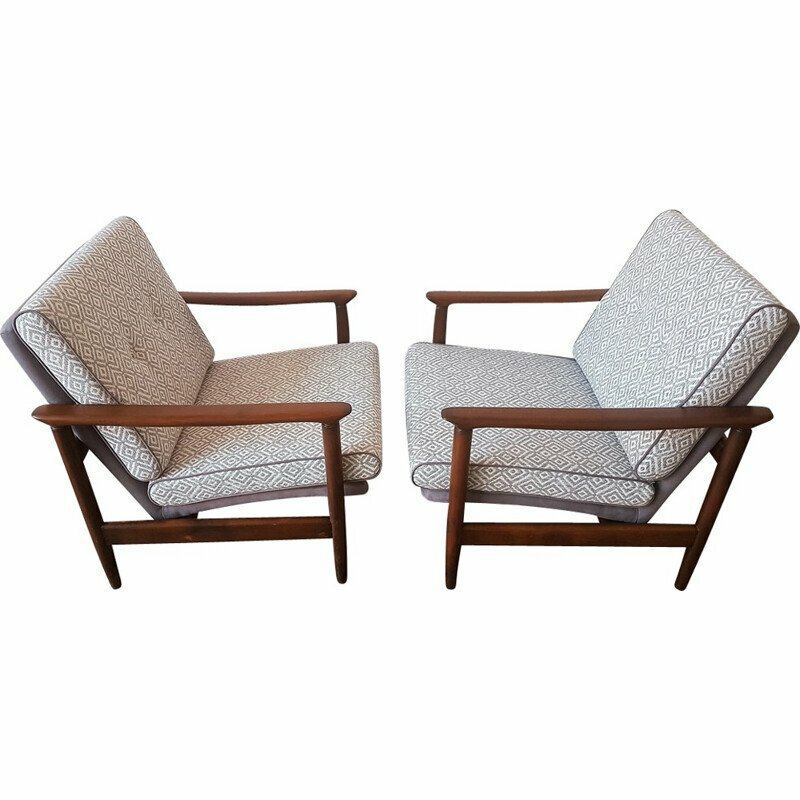 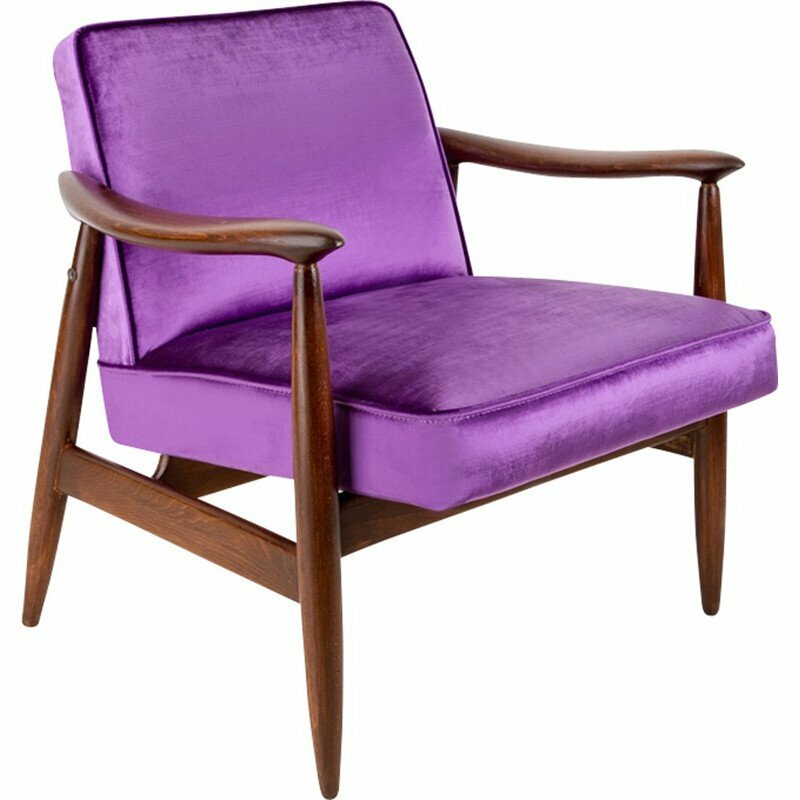 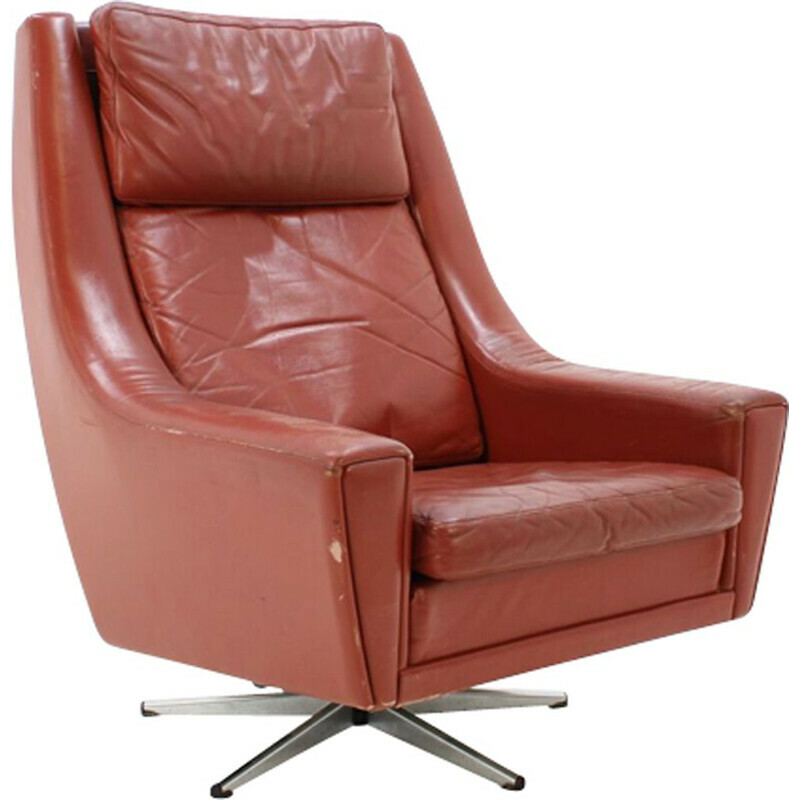 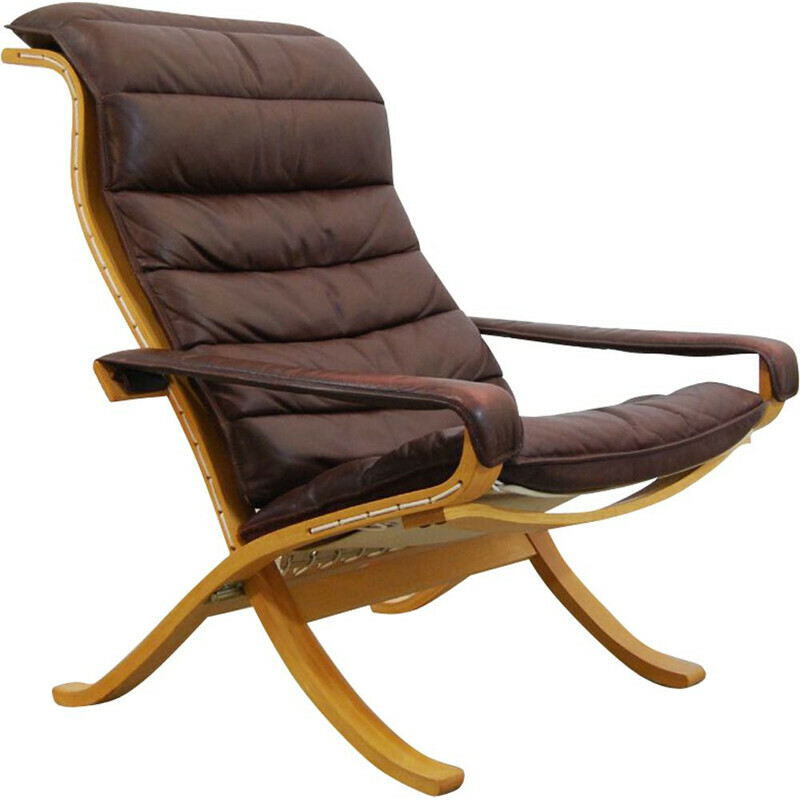 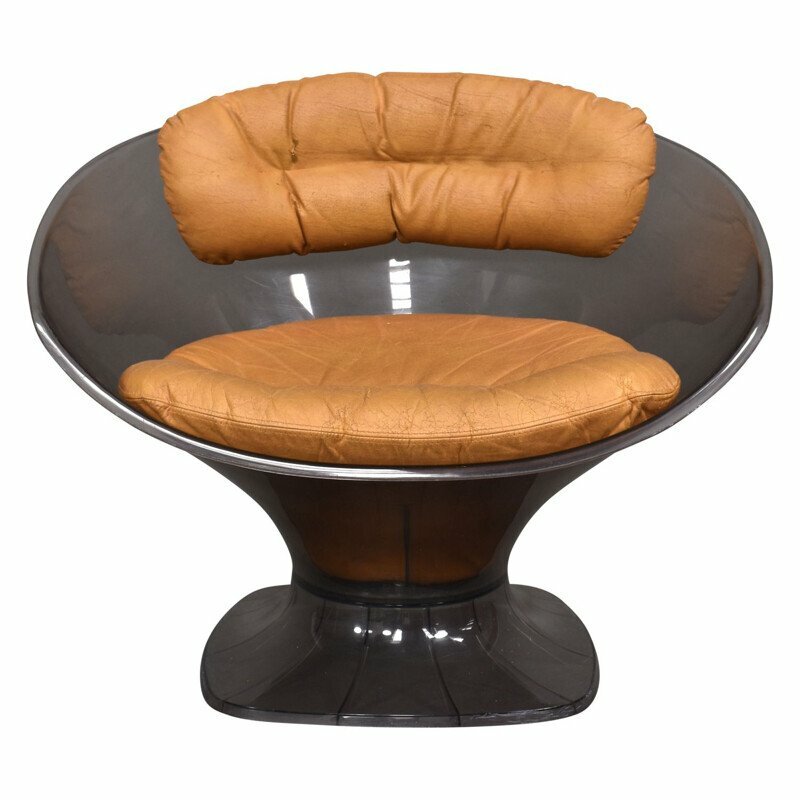 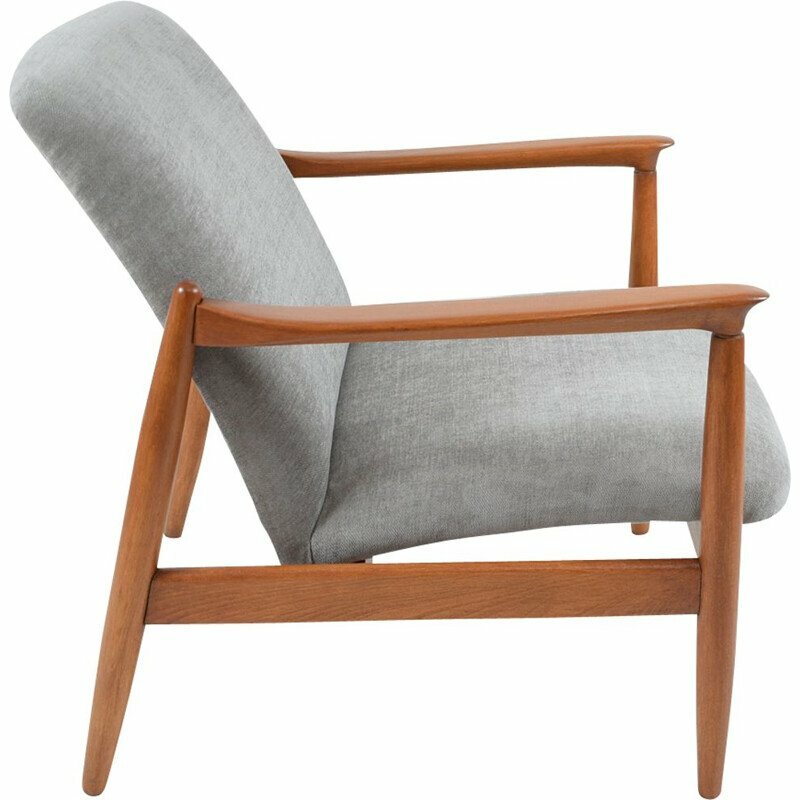 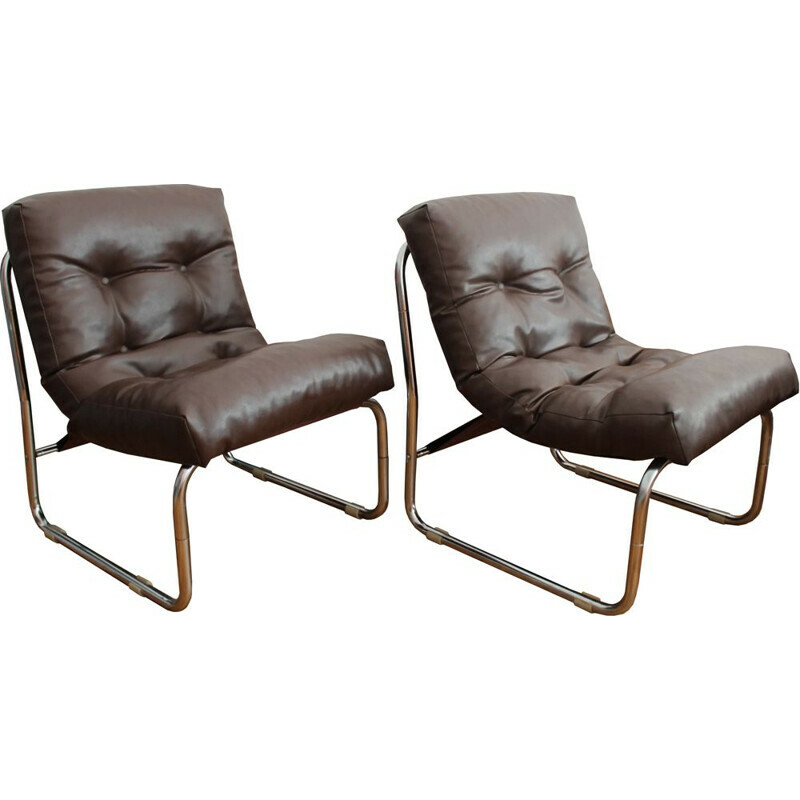 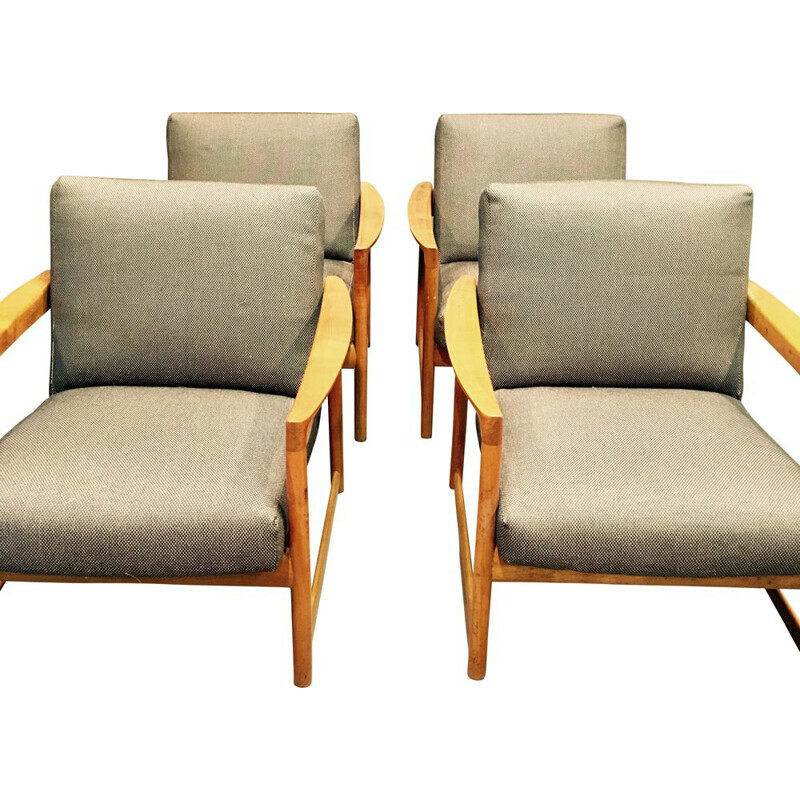 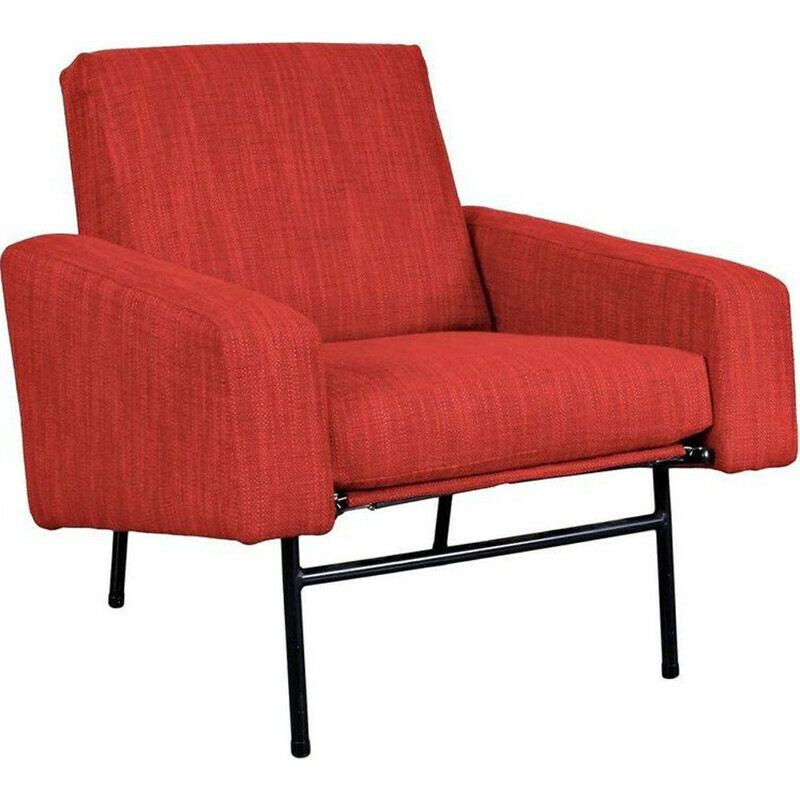 The GFM-142 armchair was designed in the 1960s by Polish designer Edmund Homa. 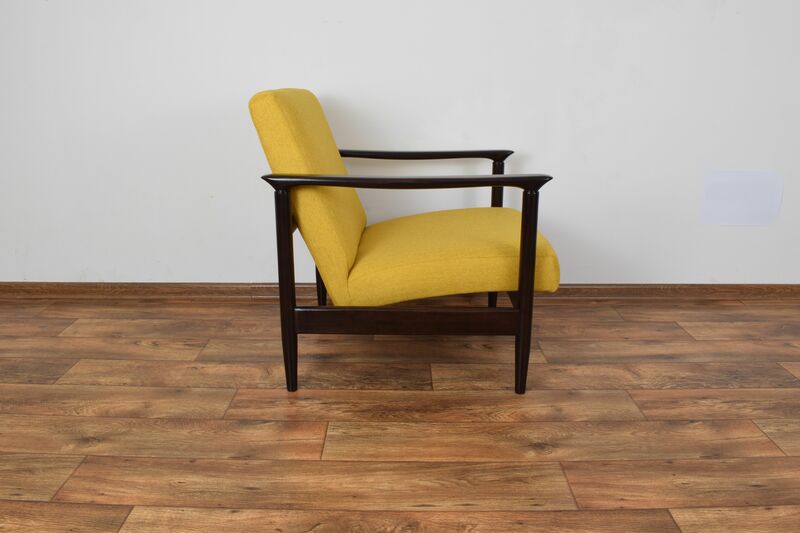 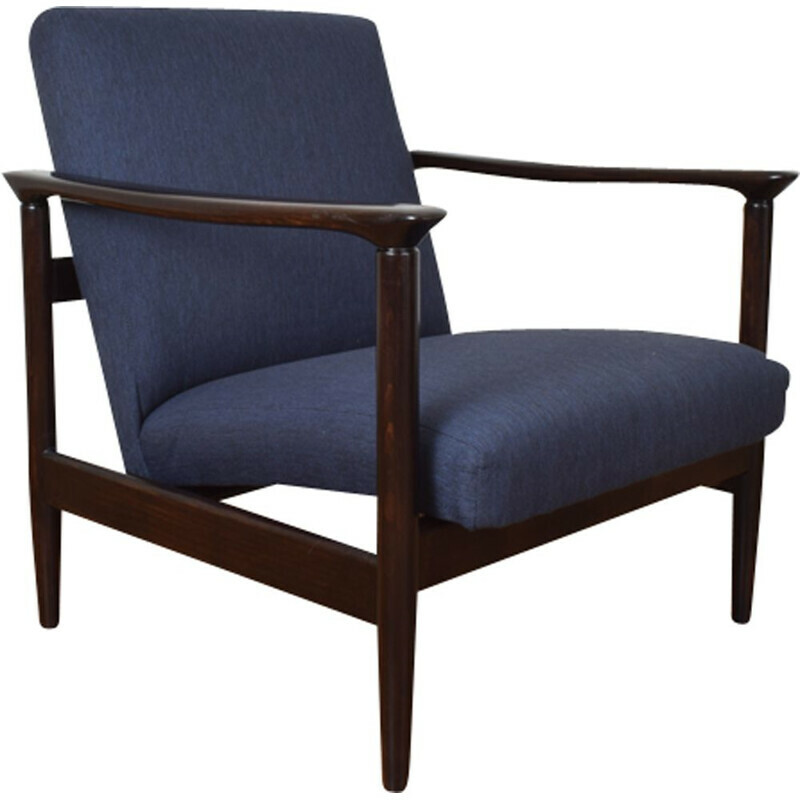 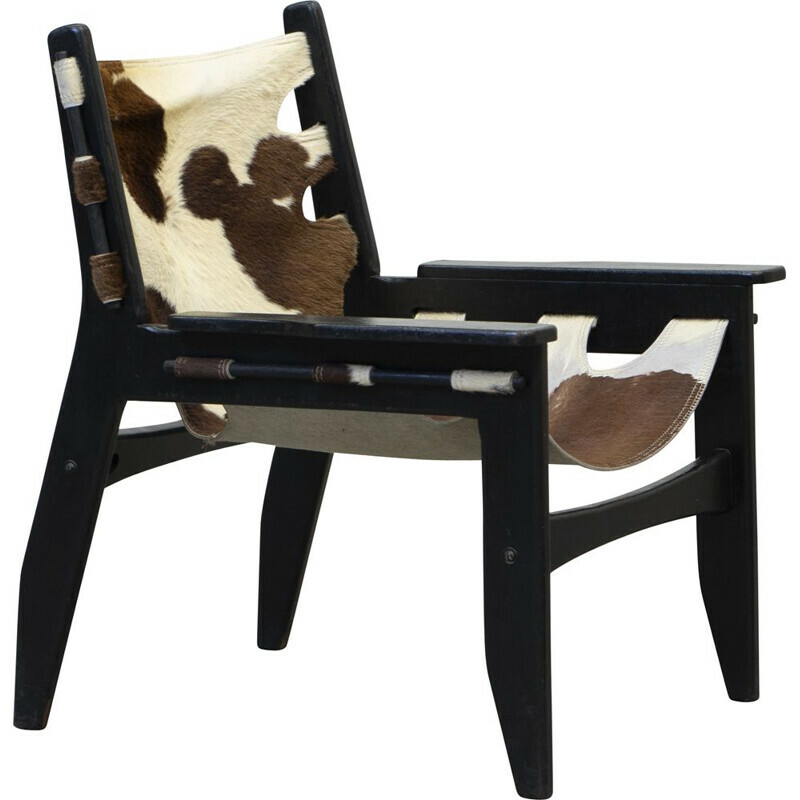 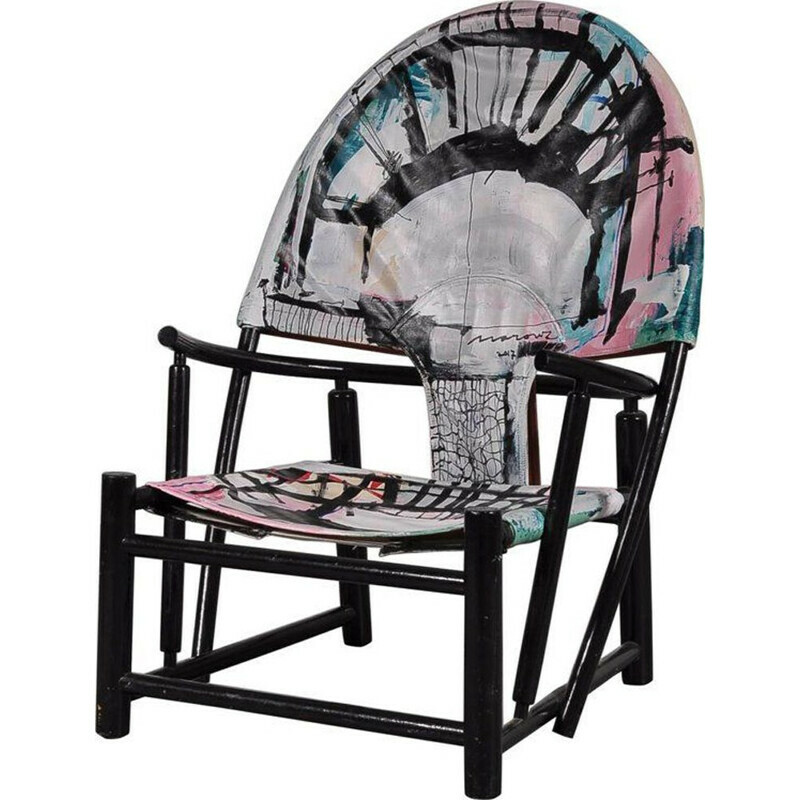 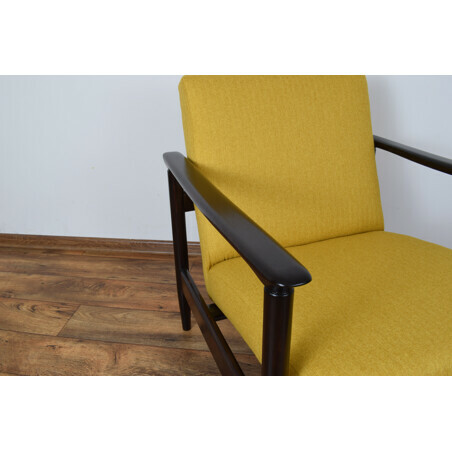 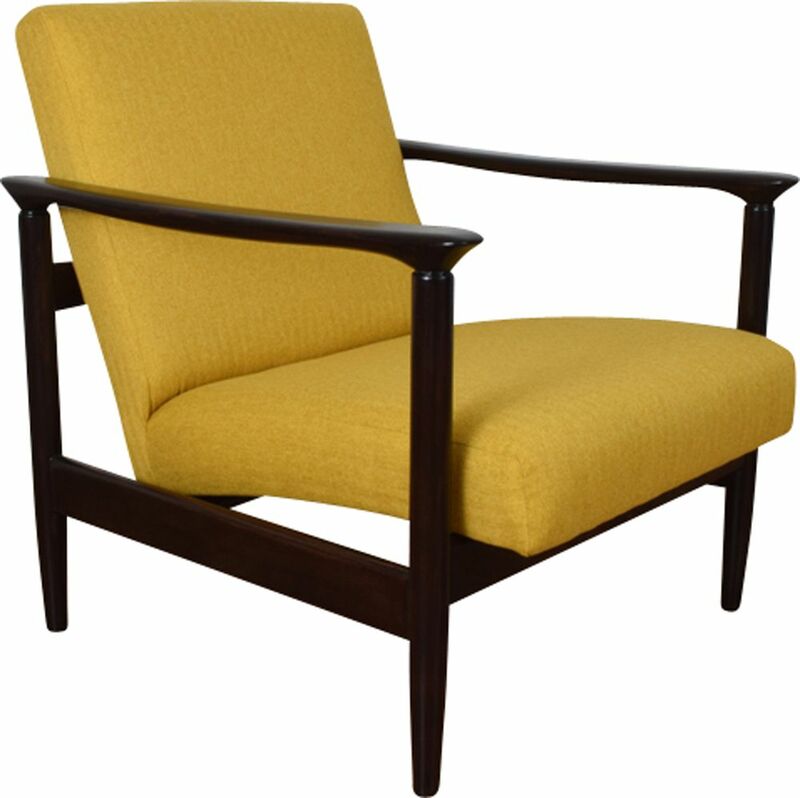 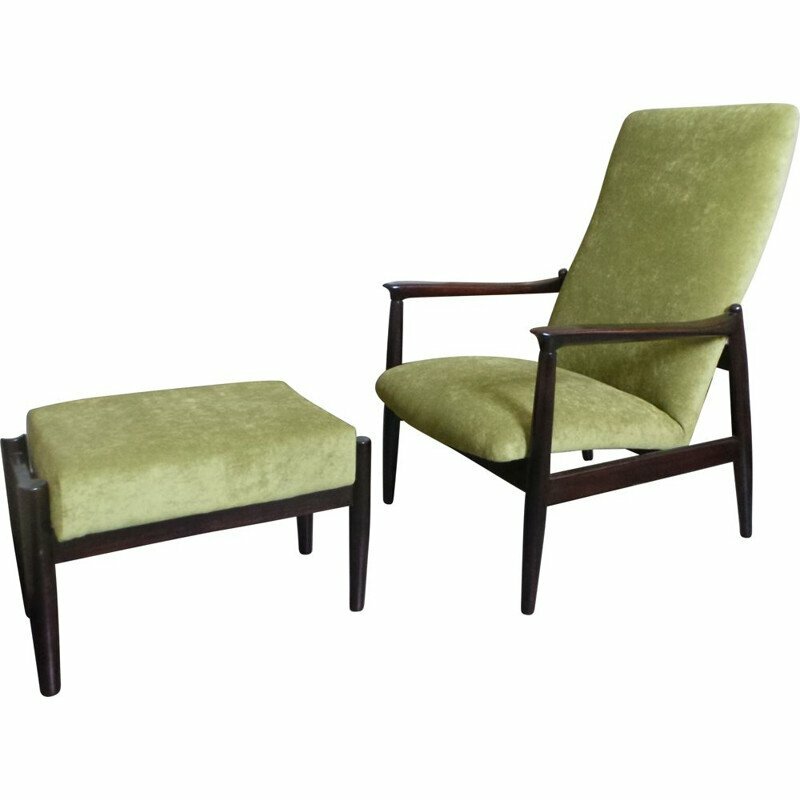 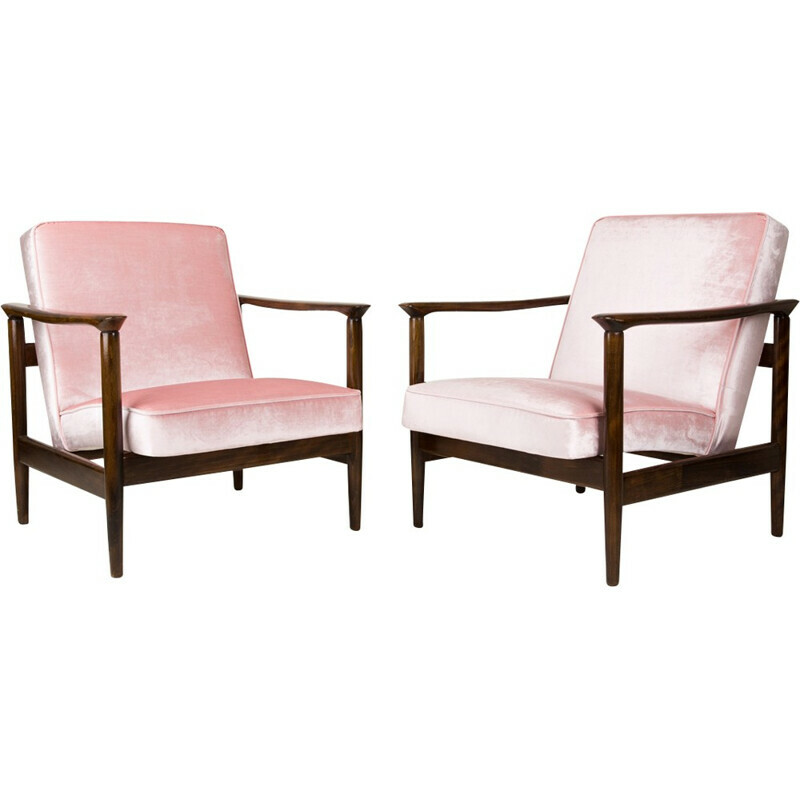 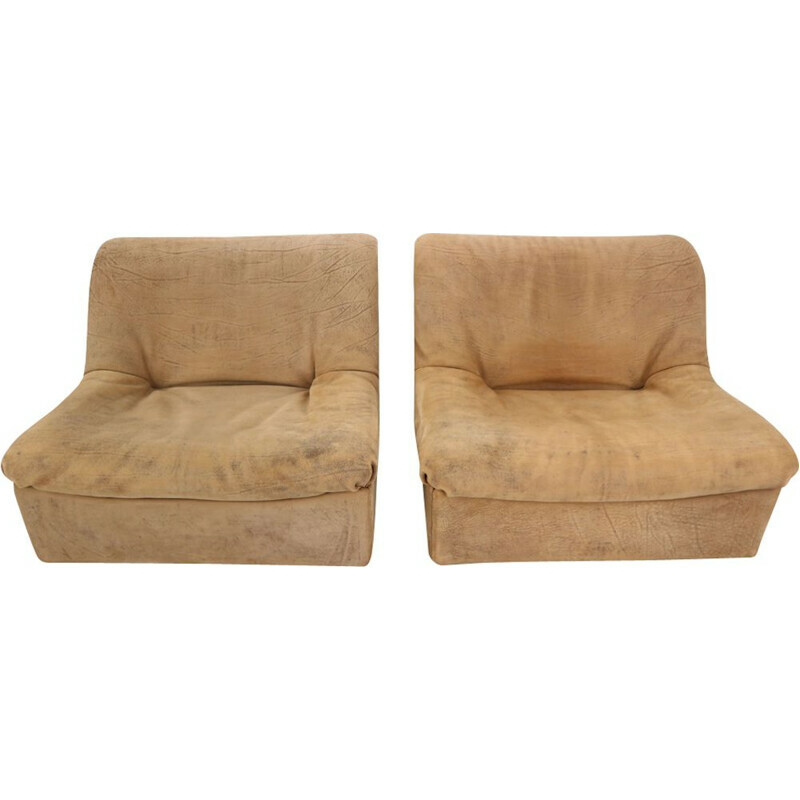 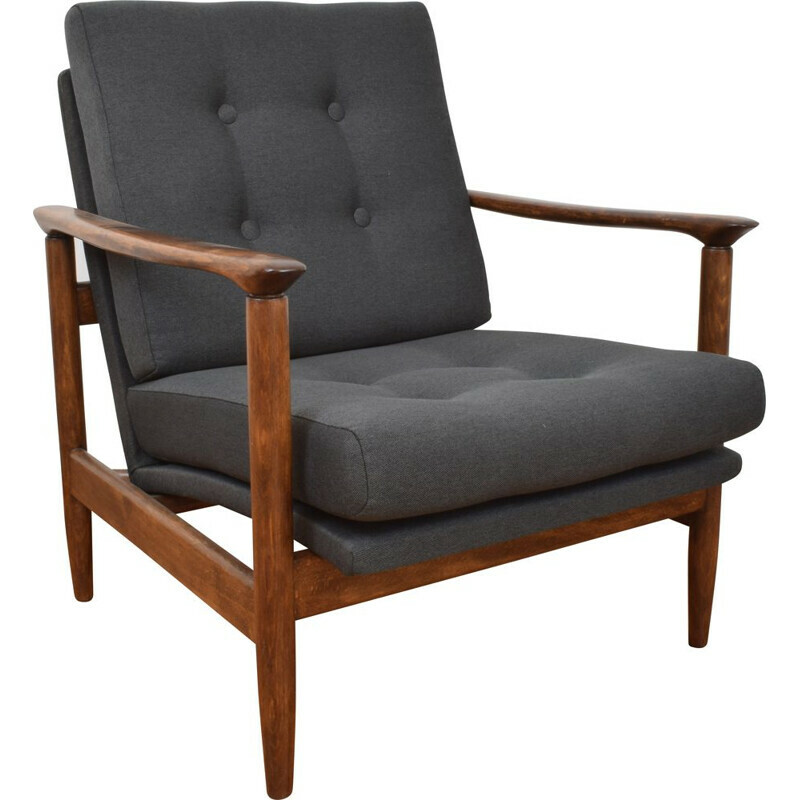 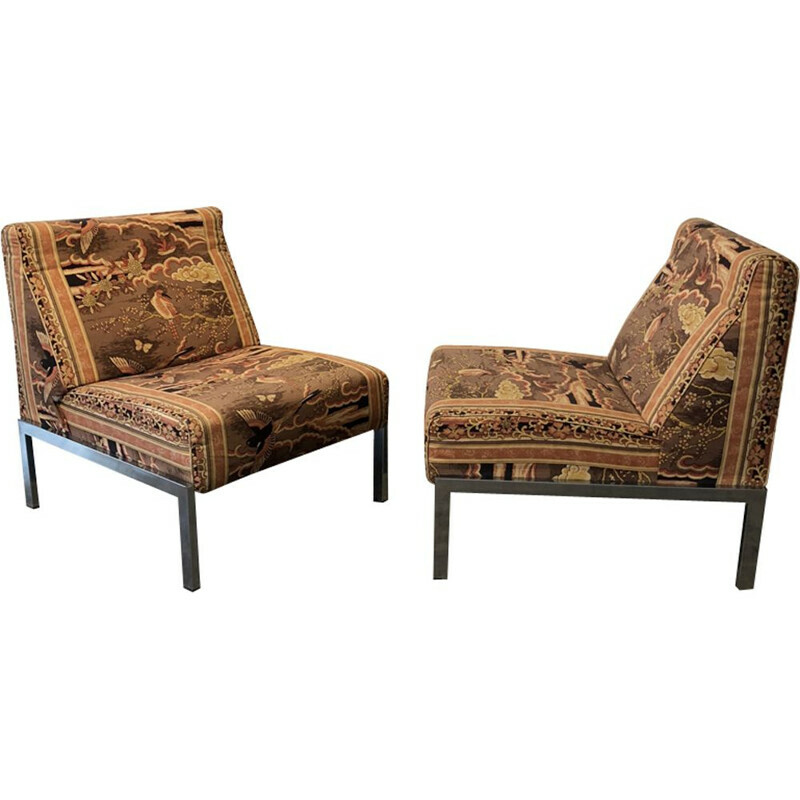 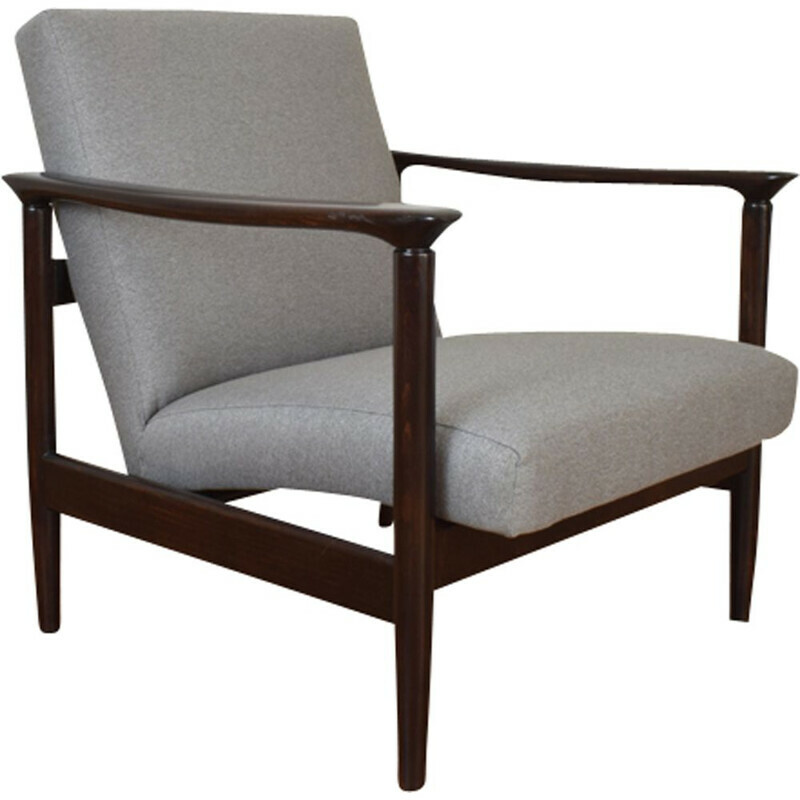 The offered armchair has undergone a complete carpentry and upholstery renovation. 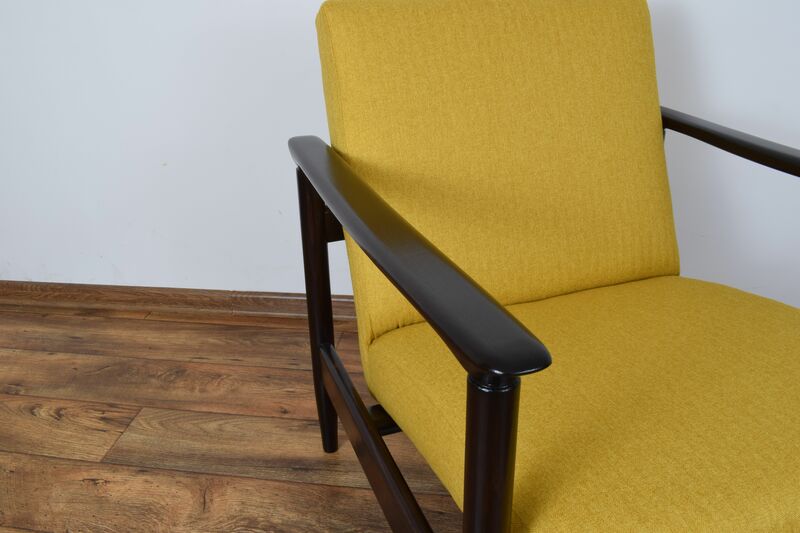 The beech wood frame has been cleaned, stained and finished with several layers of varnish. 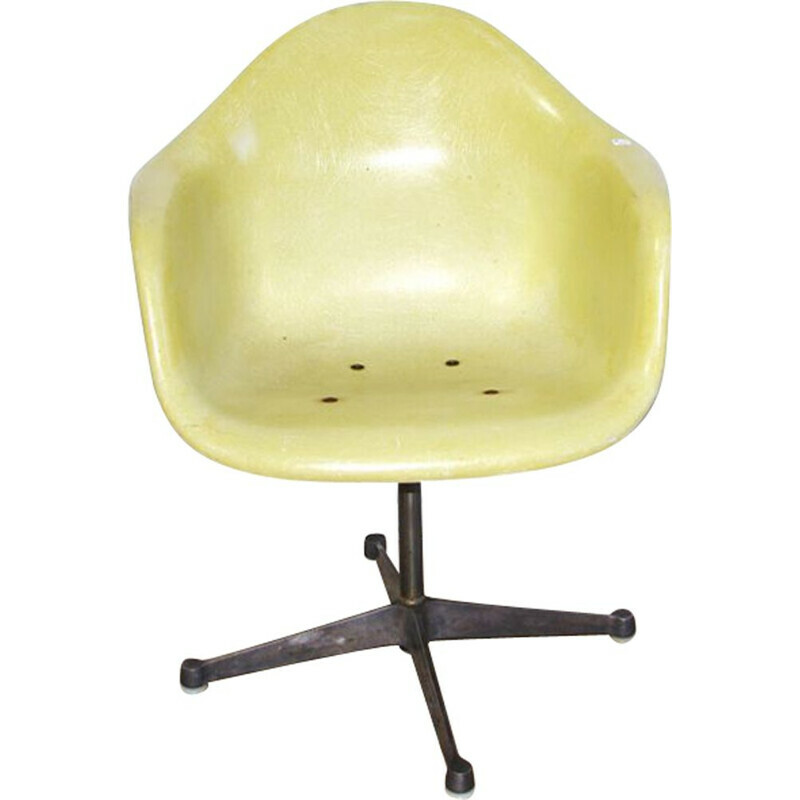 The chair has been replaced with upholstery belts and sponge, and then the whole has been covered with a mustard-yellow fabric.